Vine was challenged by Instagram’s recently introduced video recording feature. But there is a new boy in town. His name is MixBit and he aims to challenge the two rivals. MixBit is the latest project of Steve Chen and Chad Hurley, the guys who brought us YouTube. The app practically reminds of the aforementioned two most popular short video apps, but it goes beyond them. The recently unveiled apps allows 16 seconds of video recording, one second longer than Instagram and more than double that of Vine’s six second limitation. What makes this app outstanding, though, according to its description, is that it is all about mixing and editing video. This means you can record up to an hour long video, which contains 256 clips of up to 16 seconds each. Because the app stores each one of them as independent elements, you can drag and drop them to rearrange, cut or delete clips, and publish right from your iPhone to MixBit website, Twitter, or Facebook. 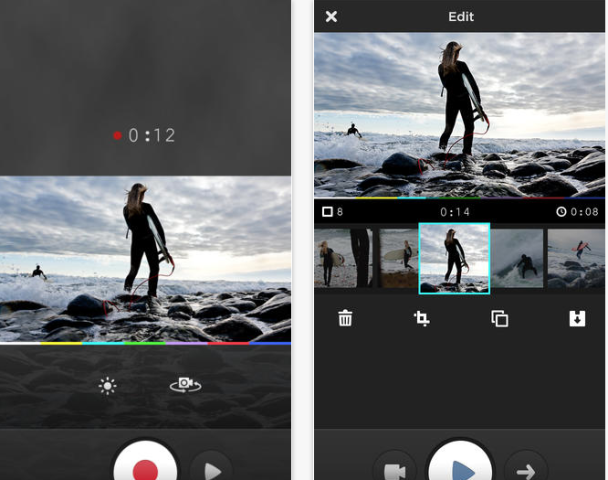 As the creators point out, with MixBit you can create complex video stories instead of independent 15- or 6-second clips that have multiple limitations — and time is one. Will MixBit be the tool to create popular videos of the type that helped YouTube to become the force it now is? Download the app and let us know if it will be your preferred tool for video recording and mixing.